Greetings from Day Two at Kallah! I had some work to do this morning, so was unable to attend morning class with Rabbi Ingber, but I was able to attend this afternoon’s class with Rabbi Kevin Hale, Sofer (Scribe) who specializes in the repair of Torah scrolls. Rabbi Hale is extremely passionate about the solitary life he leads as a scribe, and his passion for repairing Sefer Torahs is right on the surface of every statement as he transmits this skill to students who will be making emergency repairs to Torah scrolls. His first concern is that we make sure to do things properly, in a kosher manner. Yet his second concern is that a Sefer Torah that is in use by a congregation be urgently repaired and rendered kosher for use by a community as quickly as possible, so that the community should not have to be without a Torah scroll. He said the repairs we (his students) will be called on to perform are like performing surgery under battlefield conditions. At the end of the class, we’ll be able to diagnose whether a sefer Torah is kosher, we’ll be able to patch a torn scroll, and we’ll be able to use the proper materials -or the materials at hand, depending on the urgency of the situation-to repair irregularities in the text. Today we reviewed how Hebrew letter forms are made, and practiced with calligraphy pens; tomorrow we will be working with quills and ink on claf (the prepared calfskin parchment upon which a Torah scroll is written). Rabbi Hale shared with us the uncomfortable fact that there are very few progressive Jews who are qualified to write and repair Sefer Torahs in the US. In many cases, Torahs are sent to an Orthodox sofer, via agents whose purpose is to keep some distance between progressive congregations and the cloistered (please pardon the expression) lifestyle of an Orthodox sofer. Rabbi Hale’s goal is to plant seeds in the minds of committed Renewal Jews, especially rabbinical students, about the need for this work. Life intervenes, even when you’re on spiritual retreat, learning Torah and spending all your schmooze time with new friends. This morning, ALEPH Executive Director Joe Laur left Kallah to be with his mother, who is in poor health. Joe and his family appreciate your prayers for his mother. May the One who blesses all of our Seasons bless this time of transition for Joe and his family. Joe will be missed, as are those of you who also cannot be here with us. The light that is growing each day here in Rindge as we learn and build Jewish Renewal community together is not just dissipating uselessly into the atmosphere. On their way back to the Divine each spark passes through all of you who cannot be with us, leaving within you a blessing of light and life, healing, liberation, and love, to each of you as is required by your need and your gifts. 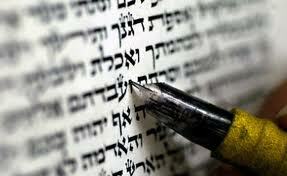 Yeverechecha Ha Shem v’yishmarecha … May the Lord bless you and protect you.